The kitchen is the heart of the home. It’s where we share meals together, where we sit over coffee and cake with friends, where we work at the table and homework is done (and lost). Kitchens see a lot of traffic and have to deal with smells, steam, heat and condensation. They need to be welcoming, homely places but also functional spaces that work efficiently, whether you have a tiny galley kitchen or a large space that’s great for entertaining. Once any initial installation or building work has been done, or your pots and pans are unpacked, it’s easy to overlook this crucial room in the house. Yet it’s a space you spend a lot of time in – the hub of the house. If your kitchen is feeling a bit dated or unloved, here are 8 things you can do to give it a quick makeover without touching a paintbrush or assembling any furniture. We’ve mentioned these before as they are brilliant temporary fixes for a room that needs a quick refresh. Perfect for those who rent their home, these tile decals can be removed when you move, or when you fancy a new look. You can use them on the floor or on the walls to create different textures and tones within the room. We love these colourful yet classy tiles, or you could go for plain white to keep things minimal. 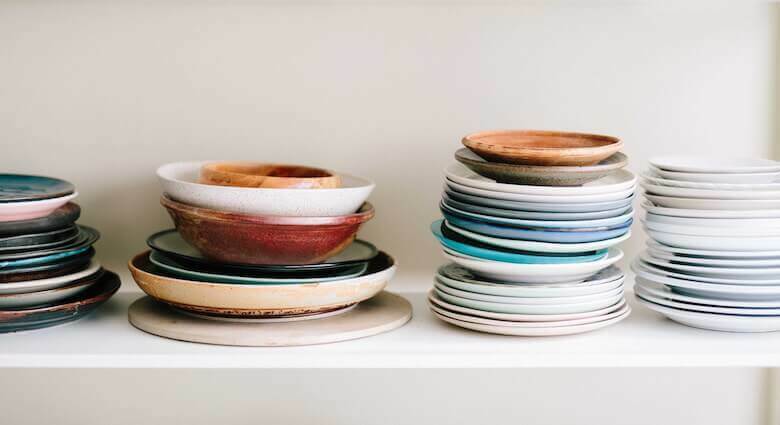 If you have open shelving a really easy way to refresh your kitchen is to buy some new crockery. If you are on a budget you can find great pieces in antique shops, car boot fairs and flea markets. These are lovely for a mismatched, casual look. For something more cohesive stick to one colour – whites and neutrals look fabulous and keep things from feeling too cluttered. You could invest in a new cast iron dutch oven and keep it on the counter to tie in the tones and textures of the room. It will give you years of pleasure and countless delicious meals as well. We have a bit of a thing about brushes. They not only look way nicer than sponges and scourers, they are more eco-friendly too. Made from natural materials, you can replace the heads when they wear out. 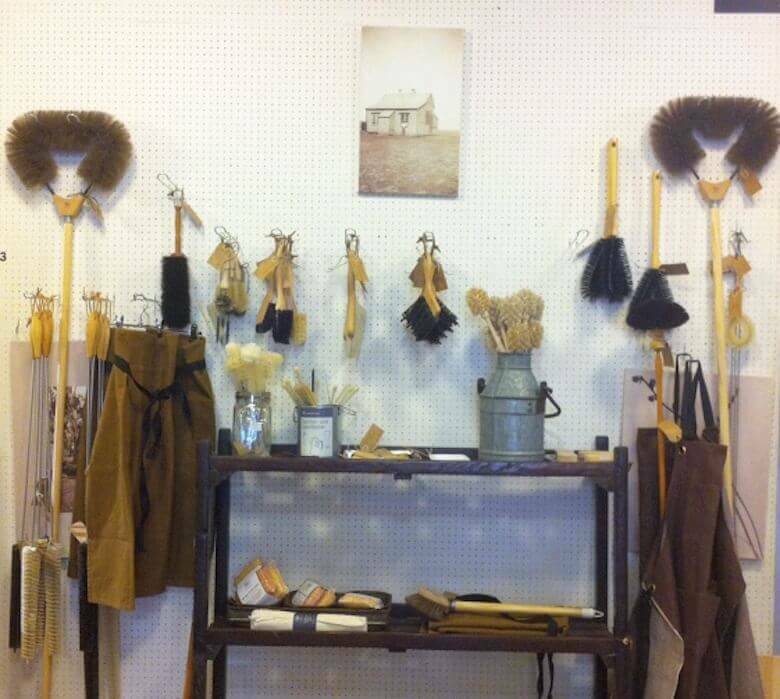 And they come in a pleasingly bounteous array – brushes for bottles, dustpans, long handled, dish brushes. Display them proudly in a jug or hang near the sink for some rustic chic. Most cotton tea towels have a fairly limited lifespan. By replacing any faded or threadbare ones with a set of beautiful linen tea towels you can instantly brighten up your kitchen. 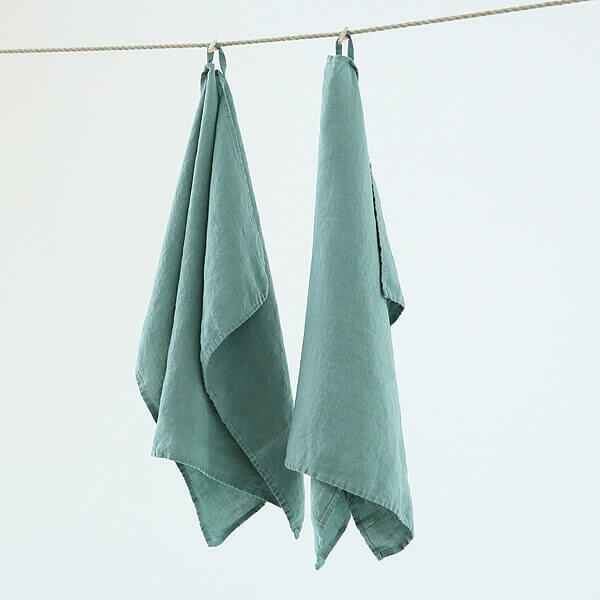 Whether you opt for muted tones or go for a splash of colour, linen will last for years and gets better with every wash. Making it the perfect fabric for hardworking kitchen accessories like tea towels. Ours come with handy hooks so you can hang them easily. Choose some linen napkins in complementary shades, or some charming linen storage baskets to change-up your counter top or pantry. Mason jars and similar glass jars are great for open shelving or beautifying a storage area. Decant your dry goods like pasta, cereals, pulses and rice into them and get rid of unsightly plastic packaging. Adding a new light or replacing a lamp shade can completely transform the look and feel of a room. 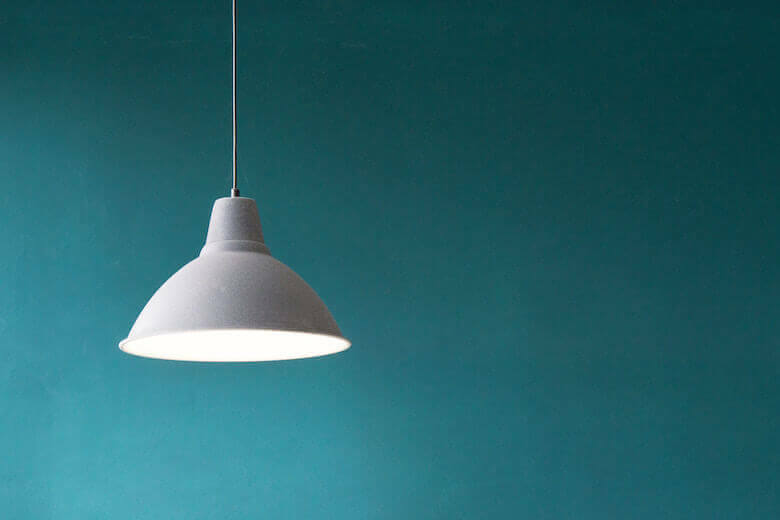 Pendant lights are a good choice for kitchens, adding a point of interest and a chance to bring your look together, whether that’s industrial, country or minimalist. If you want to work with what you’ve got, here’s a clever DIY using turkey feathers to turn a mundane track light into something really rather special. Such a simple yet effective way to refresh a kitchen. There’s a vast array of knobs to choose, from nickel to ceramic, plain metallic to patterned. A pretty door knob or handle can change the appearance of boring kitchen cabinets, and you can use colour or material to unify the whole kitchen’s look. A few plants dotted around on shelves or windowsills will bring life and colour into your kitchen. You could choose a set of culinary herbs or go for some sculptural succulents. If you aren’t particularly green-fingered try air plants for a dramatic addition that won’t need much tlc. If you have the budget and time, replacing the worktops and cabinet doors (or even removing them altogether and going for open shelves) can make a massive difference to a kitchen, without a complete overhaul. How do you brighten up your kitchen? Let us know via the comments below.